This morning, Canada’s largest shipping container market opens its gates in Toronto. Stackt is a bold urban intervention and a revolutionary market and cultural space, made possible by daring to rethink what constitutes the retail marketplace in every sense – its concept, site, building materials and user experience. LGA Architectural Partners designed the two-block, 2.4 acre site to provide Torontonians and their visitors with a lively cultural destination and community hub with anchor and pop-up shops, food and beverage vendors and an onsite brewery, woven with courtyards, pedestrian paths, and open spaces for community programming and events. Surrounded by new developments and condo construction, a daycare center, railway tracks, Fort York historic site and the Bentway’s new public outdoor space, stackt embraces the area’s unique and changing characteristics while augmenting them with an additional amenity. The concept was born from the idea of leasing and activating a dormant City of Toronto-owned property at Bathurst and Front Streets while the City prepares for its future use as a public park. 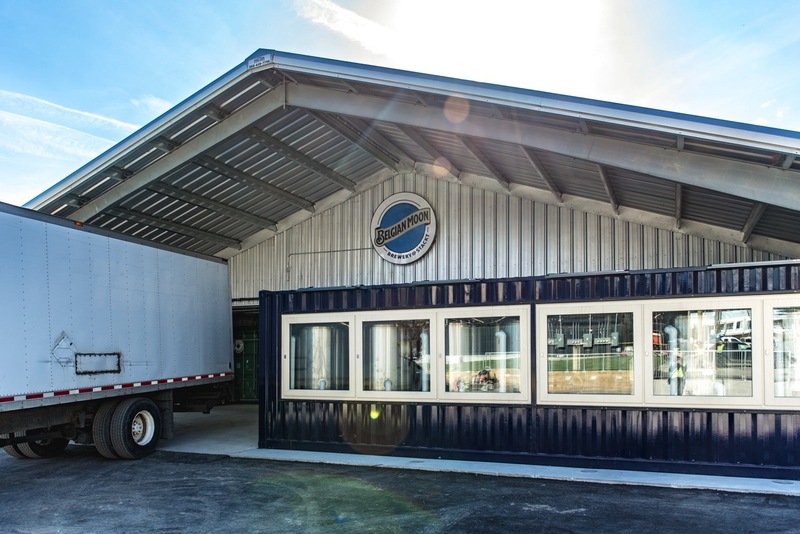 Shipping containers pay homage to the industrial nature of the site, while creating a retail setting with a unique personality. They also mean that stackt’s physical structure can be picked up and deployed elsewhere – even in a different configuration – at a future date. A challenge was that the buildings fell under the scrutiny of permanent structure zoning, including their level of servicing and taxes – models that didn’t make sense for a temporary structure. 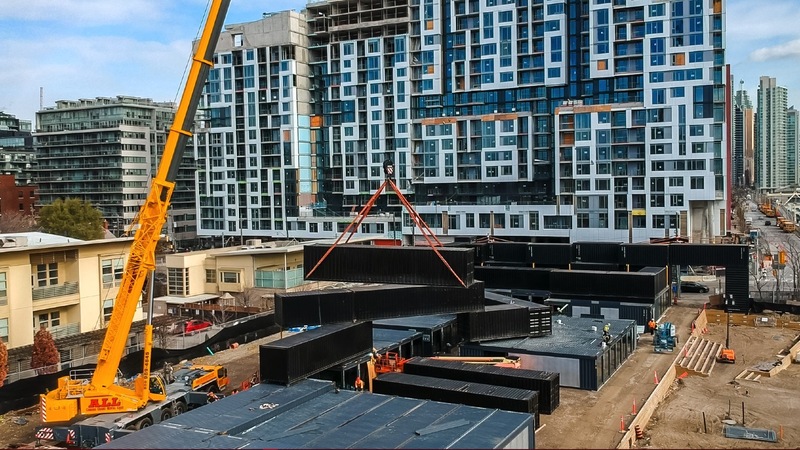 LGA worked closely with stackt and Graig Uens, Senior Planner at the City of Toronto to work within these by-laws while minimizing barriers so that the project could proceed — thereby also setting a precedent for future temporary developments. As the largest shipping container market in Canada, stackt is ambitious in both its scale and its plan. On the ground level, the new containers thread in and out to create a network of detached buildings with single and double-height interiors. These were retrofitted to provide heating, cooling, as well as the necessary power and water infrastructure to support small businesses. Ramps ensure accessibility for strollers and mobility devices. The containers’ arrangement creates side streets that enhance the pedestrian experience, and courtyards ideal for cultural programming. 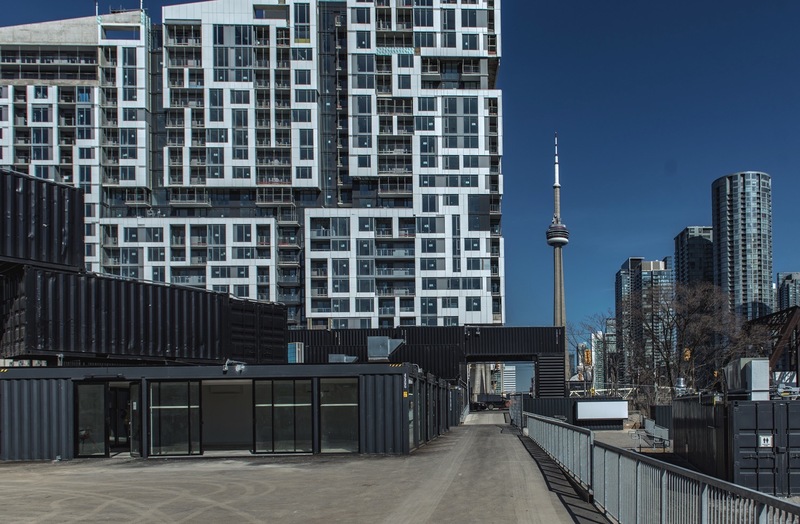 While containers conventionally lend themselves to grid-like formations, on the third storey reclaimed containers zig-zag across the site, providing some dynamism and presence from Bathurst Street, the condo towers and vantage points on the Gardiner Expressway. 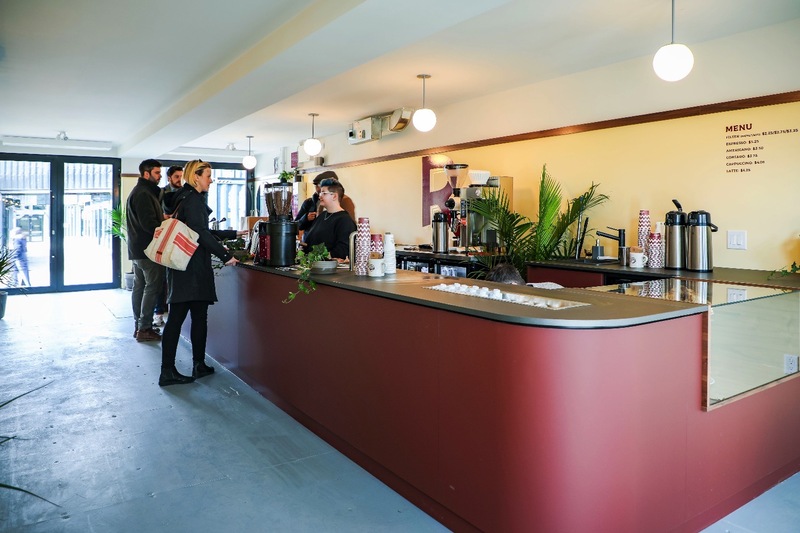 The storefronts are deliberately uniform to reduce visual clutter and also level the playing field between the independent tenants and their more experienced neighbors, and with some of the units reserved for pop-ups, a visit is like a treasure hunt to discover new vendors with each season. Giant Containers was contracted to complete the design, fabrication and assembly of the containers on the site. 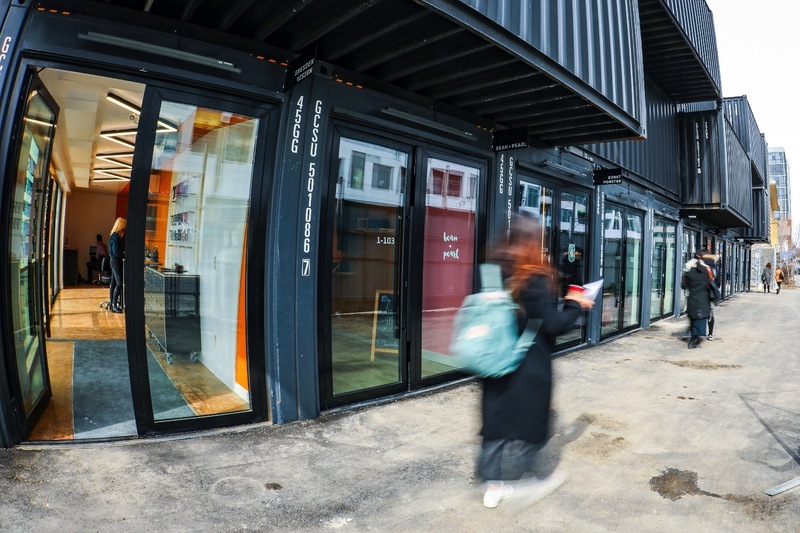 Design-build company ASTOUND completed the base-building work and also outfitted the interior of several of the container spaces, as the official preferred partner in ideating, designing and fabricating the interiors. Its scope extended from the initial prep of the containers to customizing spaces including Bean and Pearl’s bubble tea shop into unique retail, service and cultural spaces. In other cases, the interiors involved several companies—for Inkbox Tattoos, for instance, ASTOUND was responsible for base building renovations, while BKD/N Tech completed the majority of the interior. 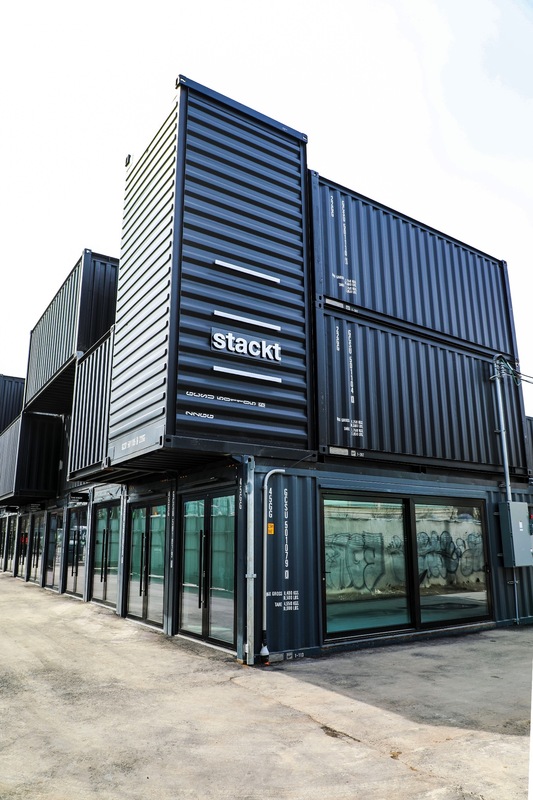 By capitalizing on the site’s scale, modularity, and unique model for pop-up shops and retailers, stackt takes the urban market to the next level and sets a new standard for future urban marketplaces.